« Stock market fluctuations as triggers for acute myocardial infarction ! Is that a knot in the left internal mamary artey ? 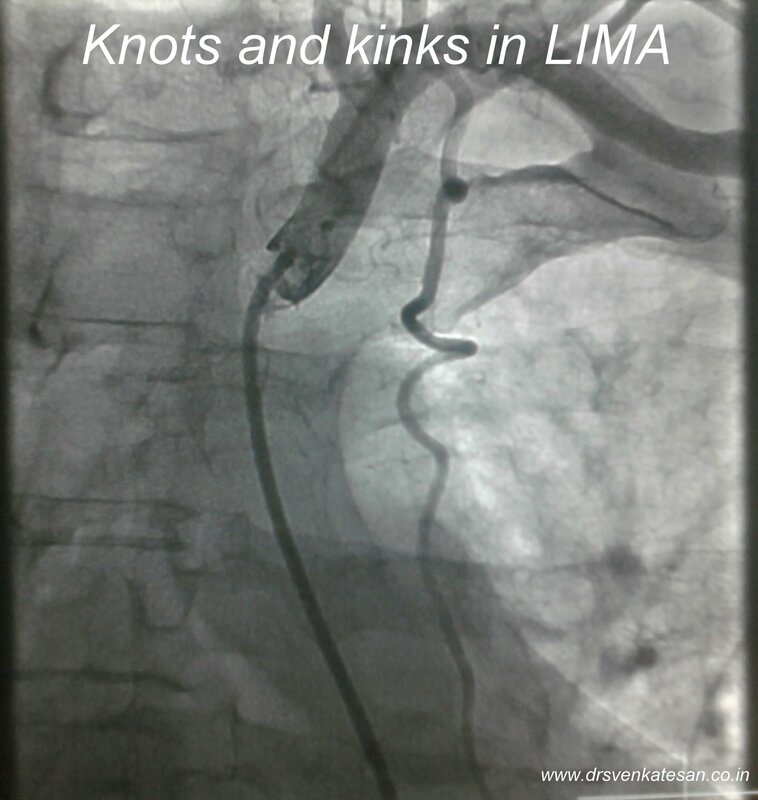 Anatomical variations , kinks and bends , loops are more common in LIMA than we recognise.This may not have major implication but can be threat to it’s hemodynamic superiority . Can a surgeon un-do the loop before grafting ? It may be possible in the distal ends where the LIMA is dissected out. I dont think it would be possible high up. Surgeons should answer this . . .